I am a sculptor and ceramics artist based in East Lothian, Scotland. 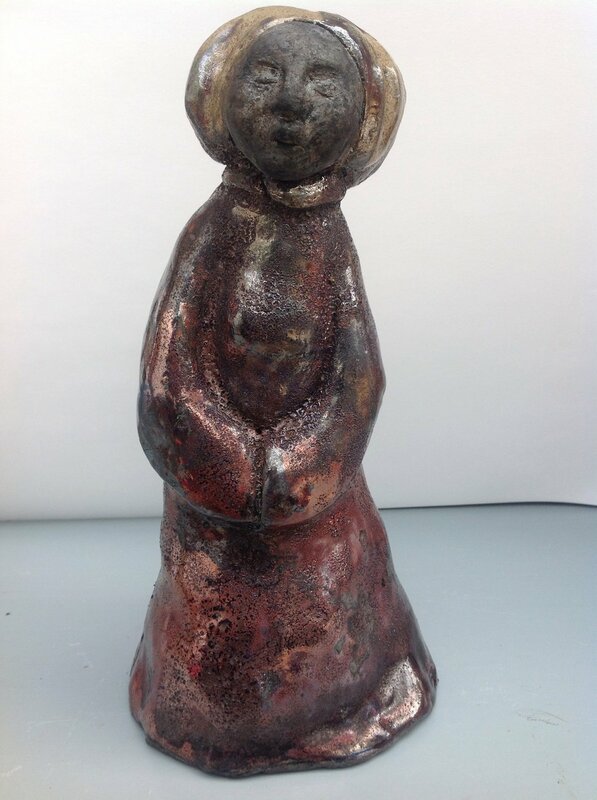 I mainly make portraiture, raku sculpture, and ceramics. My large portraiture sculptures are inspired by the human form in transitional states. My smaller sculptural pieces tell a story. I create a character and a form in which to tell that story. I love to create Goddess sculptures that represent the wisdom and diverse beauty of women. As an artist and a mother, I make a point of sculpting and celebrating all body types. My Scottish raku sculptures are inspired by the beautiful ancient buildings I see around East Lothian and beyond. Wee but'n'ben cottages, small village houses with sash and case windows, tall traditional town houses. I also sculpt iconic rural buildings, such as churches and inns. I also make selection of ceramics ranging from the traditional to the more unusual. I am drawn to organic shapes and all things fantasy and magical. I use a range of glazing techniques, which incorporate traditional glazes, raku glazes, the use of glass, metals, 24 carat gold leaf and organic materials.